This is probably the easiest gift guide I've ever put together since I definitely fall into this category. 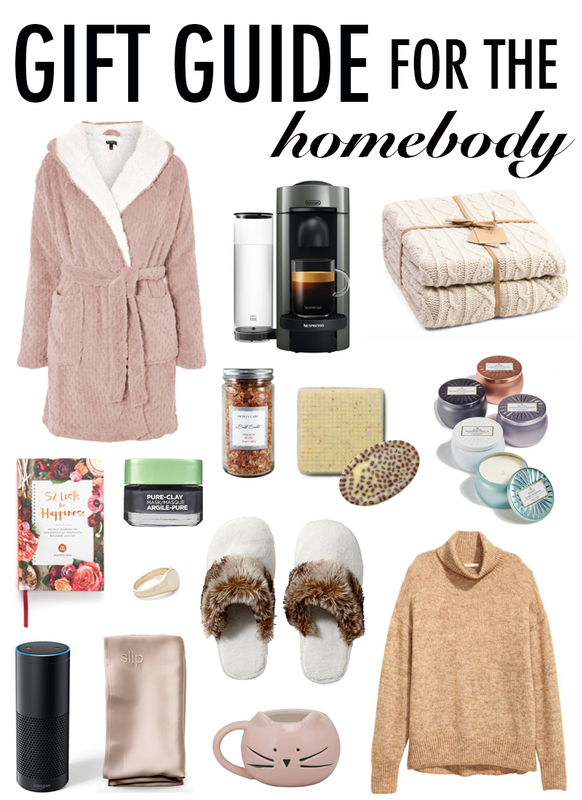 When it comes down to it, basically anything that will make the girl you're shopping for more comfy and cozy in her home will make the perfect gift. Pajamas and bath products are classics, but luxurious bedding or even a speaker could make unique and useful gifts. ROBE/PAJAMAS: Two of my best friends have already given me a gift this month, and they both gave me Old Navy pajamas. Old Navy's pajama pants are my FAVORITE; I basically live in them to be honest. Plus, they're super affordable, making them a very easy gift. Other cozy options I'd recommend would be a fuzzy robe or slippers. I received these slippers for Christmas last year, and I still wear them every single day! BATH PRODUCTS: On the cheaper side of the spectrum is bath products. I feel like bath products are something we as girls love to use but hate buying for ourselves. Target has a ton of super affordable and cute products, including these bath bombs and face mask sets. Although, if you really want to treat the girl you're shopping for, I'd suggest picking up a body butter or massage bar from Lush! COZY BLANKETS: I'm a firm believer that a girl can never have enough blankets, and if you want to give a girl who loves being home the best gift ever, you can't go wrong with a huge, chunky knit blanket! I also love these cheaper alternatives like this cable knit one from T.J. Maxx and this knit one from Target, but this blanket would make a timeless statement in her home as well as be ideal for snuggling up at night! Another option, if you really want to give the girl you're shopping for a luxurious gift, is this silk pillowcase; it will do wonders for her hair! 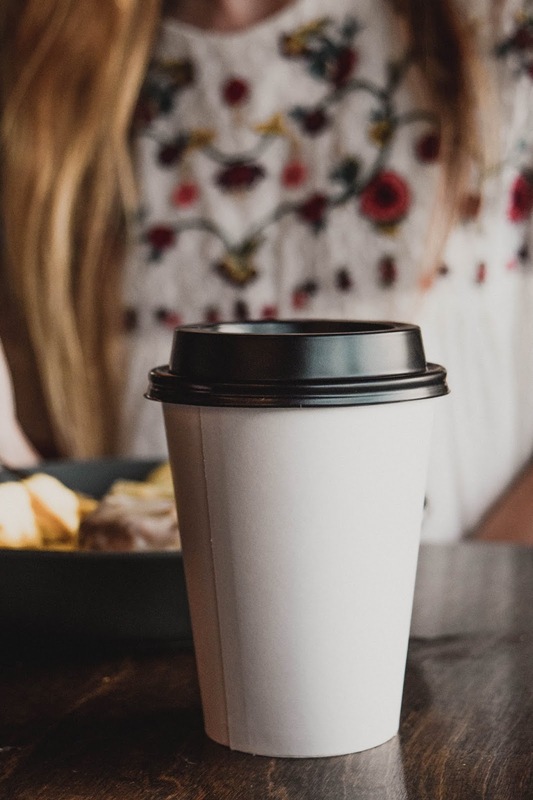 ALL THINGS COFFEE: Mugs are an easy gift no matter who you're shopping for, but if you're shopping for a girl who can't live without her morning cup of coffee a Nespresso or Keurig might make the best gift she receives all year! CANDLES: As I've gotten older, I've learn to appreciate a nice candle. Bath & Body Works' candles are a classic, but I can't imagine a girl who wouldn't swoon over receiving a candle from Anthropologie. They have tons to choose from, all falling into different price ranges and smelling absolutely divine! I've also seen these Homesick candles for a couple years now, and I always think they would make the sweetest gift for someone who may live far away from home. SPEAKER: A portable speaker is another gift that could work for just about anyone, but as a girl who loves to play music as she gets ready in the morning I thought it was essential to include in today's gift guide. The Amazon Echo is awesome with the Alexa feature, but my mom has a Bose speaker that I love as well. I also thought these tiny shower speakers would make a super fun gift too! COMFY SWEATER: Once winter rolls around, big, comfy sweaters are my go-to to throw on. H&M tons of affordable sweaters right now that I've linked below, as well as Express and Target, but if you're working with a bigger budget, Free People sweaters are the best! I think what makes sweaters such a great gift is that they can be dressed up or dressed down and never really go out of style. JOURNAL: One of my favorite things to do when I'm home alone is journal. I find it to be both extremely peaceful and fun. T.J. Maxx currently has the 52 Lists journals available in stores that I've considered picking up once or twice, and I bought this Bucket List journal from Anthropologie last year that I absolutely love! I was looking for some bath products to gift to my mom. Coming across this post I think I'm adding blankets and slippers to my gift too! Yay! I'm sure she'll love it all!